Around ten per cent of young people are known to experience episodes of self-harm but the real figure is almost certainly higher due to the often secretive nature of this complex set of behaviours. Many people who self-harm explain that they are finding an outlet to help them cope with intense feelings. Combining the underdeveloped coping mechanisms of children and teenagers with the intense social and academic activity of school life it is not surprising that young people are particularly vulnerable. 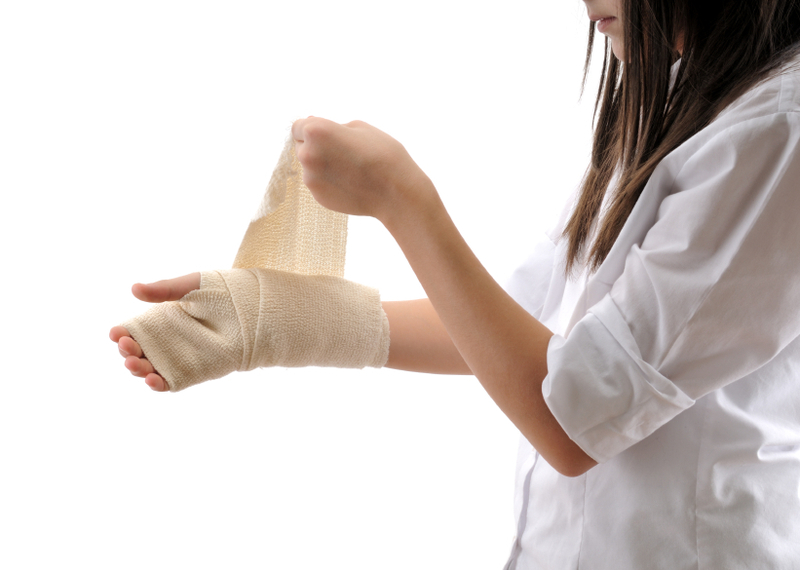 How and Why do Young People Self-Harm? Self-harm comes in many forms, from cutting, punching and burning to substance abuse, swallowing objects and even punishing the body through extreme dieting or exercise. Episodes can be isolated or repeating, planned or impulsive and may be triggered by intense feelings such as anger, hopelessness or guilt; unpleasant memories or traumatic events. Some people describe self-harm as a means of release or self-expression, others as a way in which to stay in control or punish themselves. Young people with psychological problems involving dissociation may hurt themselves to reconnect with reality while others hear voices that instruct them to punish themselves. Contrary to what many believe, self-harm is not necessarily a ‘cry for help’ and some sufferers go to great lengths to hide their behaviour from friends and family. Nor is it usually a suicide attempt although statistically half of completed suicides have a previous history of hurting themselves. To lessen the risk of serious injury, infection or unintended suicide, schools and institutions for troubled young people need to talk openly about the subject but providing self-harm workshops is challenging for PSHE providers due to the sensitive nature of the subject and the risk of triggering upsetting thoughts and feelings. 2020 Dreams Self-Harm Workshops have been sensitively designed to take into account age and background, balancing the need for open discussion and protection from psychological distress. To bring light onto this important but delicate subject, 2020 Dreams make use of powerful teaching tools such as gentle collaborative role-play and open, student-centred discussion forums. While families and friends often ostracise or criticise those who hurt themselves, sufferers themselves often want to talk about their problems but feel unable to express what they are feeling inside. Bearing in mind that one student for every ten in a group is likely to be actively self-harming, an open and honest workshop discussion can help them to fulfil that need. Going to great lengths to cover up parts of the body. Talking negatively about oneself and about deserving to be punished. Withdrawal and refusal to talk about problems. Mood swings and tearfulness (depression symptoms). Students will also be given plenty of information about types of help (counselling, crisis plans, etc.) and who they can contact for more help including the Samaritans, Mind and their GP. 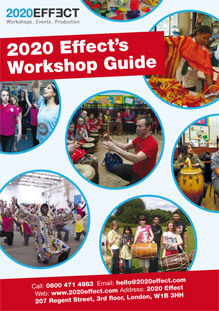 Why Choose a 2020 Dreams PSHE Workshop? 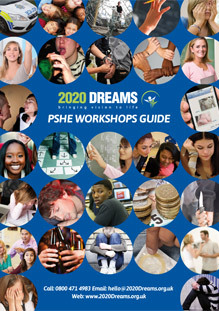 Self-harm is just one of many specialists PSHE workshops offered by 2020 Dreams who regularly provide high quality, customisable workshops to schools, PRUs, charities, Young Offender Institutions and other establishments responsible for the psychological and social wellbeing of young people. All 2020 Dreams workshops are risk-assessed and fully insured, employing DBS-cleared facilitators with experience in engaging with young people of all ages and backgrounds. To find out how 2020 Dreams can help your school or institution, please call us free on 0800 471 4983 or send us an email to: hello@2020Dreams.org.uk.